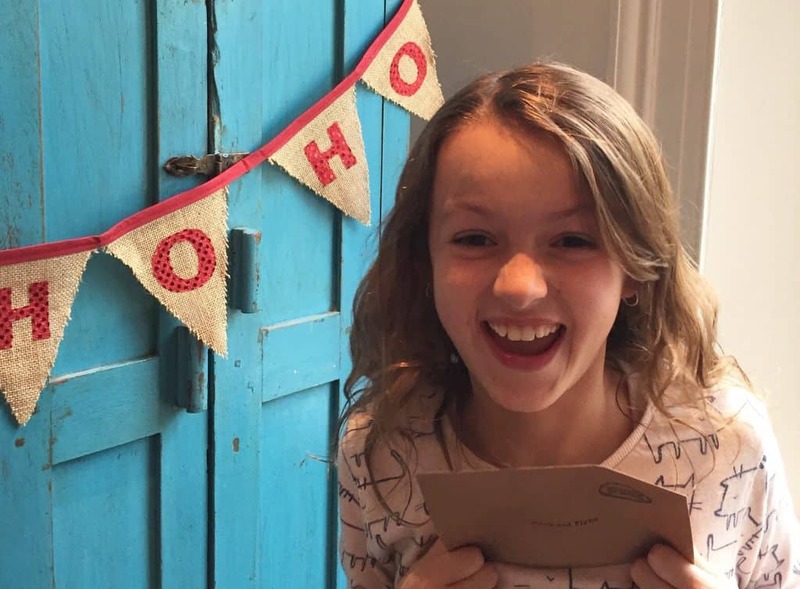 For children who aren’t going to be at their usual address on Christmas Eve! 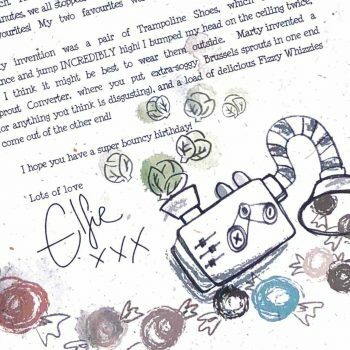 A unique and beautifully illustrated personalised letter from Elfie, one of the Elves in the North Pole. Complete with splodges for that all important authentic look! 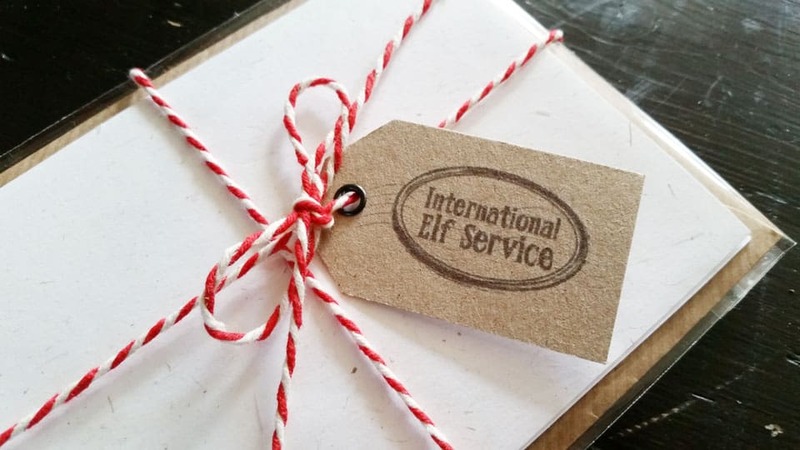 Whether you’re going to stay at a relatives house, in a hotel or somewhere Top Secret … Elfie, (one of the big team of Elves up in the North Pole), writes to your children to reassure them that Father Christmas knows EXACTLY where to deliver all their presents this year! 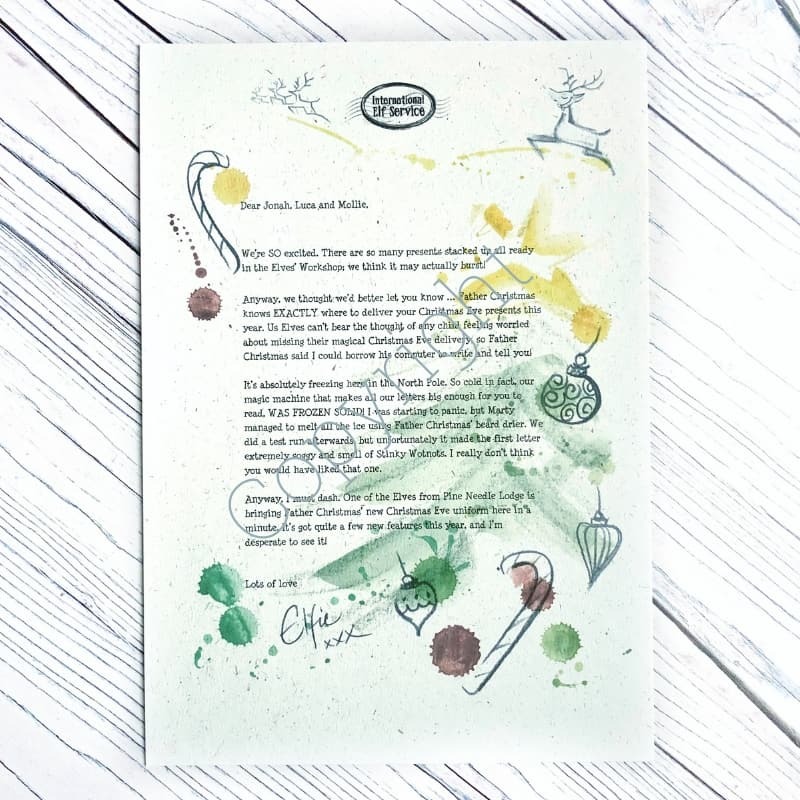 *please see the sample letter in the product image,to see if it’s right for your family, and to help you decide when best to deliver it! 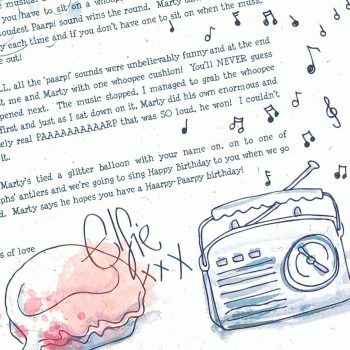 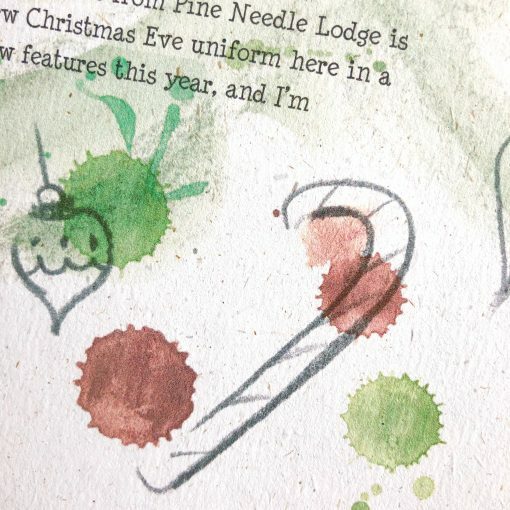 A personalised ‘away for Christmas’ letter (please note, the illustrations are the same as the invitation to Lapland letter), complete with ink splodges, marks and smudges. 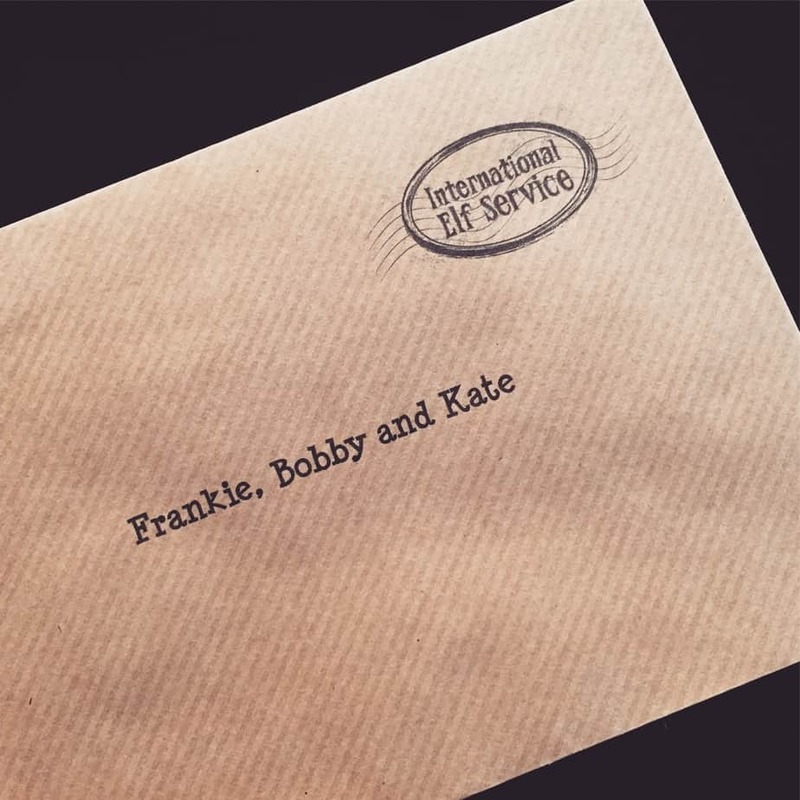 It will be addressed to your child(ren) for you to deliver in whichever way is most magical for your family.